What we have seen in the last 14 years in the Middle East is a brutal continuation of policies developed by the British Empire to maintain its dominant position in the world. The British wanted to control the newly discovered sources of oil in the region for its navy. Now the United States has replaced the British and the issues are more complex, but the US also wants to use control of the oil in the Middle East to maintain its dominant position. The situation in each country is different, so they will be discussed separately. The theme however is roughly the same. No country is allowed to take any action or formulate any policy which stands in the way of the demands of US/NATO banks and oil monopolies. The US/NATO drive to remove the Assad regime in Syria is the latest chapter in a story which began in the final years of the British Empire. The military power of the British Empire was based on the Royal Navy, and for some decades the Royal Navy had been powered by coal. Near the end of the 19th century the British Navy began using oil rather than coal in smaller ships and submarines. Admiral John Fisher, Britain's First Sea Lord from 1904 to 1910, argued that even the largest ships in the navy should change to oil. It had many advantages for the navy, but had one important disadvantage. Britain had a plentiful and cheap supply coal, but had no known domestic sources of oil. Unlike some of the countries in the Middle East, what we now know as Iran was a powerful empire as far back as the time of the Ancient Greeks and Romans. From 1501 to around 1730 it was ruled by the Safavid dynasty. In 1779, following the death of Karim Khan of the short-lived Zand dynasty, Mohammad Khan Qajar established the Qajar dynasty as rulers of Iran which lasted until 1921. During the Qajar dynasty there were ongoing conflicts with the Ottoman Empire and the Russian Empire. Between 1872 and 1905, a series of protests took place because of the sale of concessions to foreigners by some of the shahs of Qajar. Ultimately this led to the first Iranian Constitution and the first national parliament of Iran which was founded in 1906. In 1911 the forces of Mohammad Ali Shah Qajar were defeated and he was forced to abdicate. His son and successor, Ahmad Shah Qajar was the last sovereign of the Qajar dynasty. He established a constitutional monarchy that lasted until overthrown in 1979 during the Iranian Revolution. In 1941, Reza Shah was forced to abdicate in favor of his son, Mohammad Reza Pahlavi. This made possible the Persian Corridor. a supply route through Iran into Soviet Azerbaijan by which British and American supplies were transferred to the USSR during World War II. British disregard for Iranian interests and its refusal to negotiate changes in the oil concessions led to a rising nationalist opposition. In 1951, Mohammad Mosaddegh was elected as the prime minister. He became enormously popular in Iran, after he nationalized Iran's petroleum industry and oil reserves. However in 1953 he was deposed by an Anglo-American coup. This was followed by decades of close relations between the shah Reza Pahlavi and the United States. As a result companies took a large share of the oil concessions and Washington replaced Britain as the most influential foreign power. For hundreds of years what we know as the Middle East was under the control of the Ottoman Empire. The defeat of Germany and the Ottoman Empire in WWI played a central role in the historical background to the 100 year battle for control of Middle East oil. The most important development was that most of the land held by the Ottoman Empire was removed from its control. The core of the Empire became the country we now know as Turkey. The Germans had some earlier involvement in oil exploration in the Middle East through its connections with the Ottoman Empire. However after its loss in WWI the French claimed the German share, so the Middle East was divided between Britain and France, while the US and Russia (then the USSR) were excluded from this division of the spoils. In 1916 two Allied diplomats, Frenchman François Georges-Picot and Briton Mark Sykes, secretly agreed on the post-war division of the Ottoman Empire into respective zones of influence in what is called the Sykes-Picot Agreement. 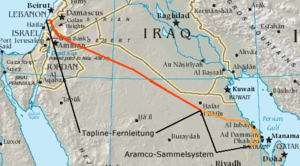 Initially, the two territories were separated by a border that ran in an almost straight line from Jordan to Iran, the discovery of oil in the region of Mosul just before the end of the war led to yet another negotiation with France in 1918 to cede this the British zone of influence. Syria represented the largest Arab state to emerge from the formerly Ottoman-ruled Arab Levant. While the British and French were deciding how to divide the Ottoman Empire between themselves, the Syrians had some ideas of their own. British-supported Hejazi forces defeated the forces of the Ottoman Empire and captured Damascus on 30 September 1918. An independent Kingdom of Syria was proclaimed in Damascus on 8 March 1920, with Faysal ibn Husayn of the House of Hashim as its king. This unilateral action was immediately repudiated by the British and French. The San Remo Conference was called by the Allied Powers in April 1920 to finalize the allocation of League of Nations mandates in the Middle East. This was in turn repudiated by Faisal and his supporters. Only months after al-Za'im's takeover, he was overthrown by a group of officers connected to the Syrian Social Nationalist Party. A nationalist, Hashem al-Atassi, became prime minister, who wanted to create a union with Hashemite Iraq. In December 1949, Col. Adib Shishakli launched another coup to block any ideas of a union with Iraq and later he became president. According to an article in the Guardian, the "conservative military regime of Colonel Adib Shishakli" was overthrown in 1954 by an alliance of Ba'ath party and Communist party politicians and their allies in the Syrian army. (http://www.theguardian.com/politics/2003/sep/27/uk.syria1?cat=politics&type=article) However according to an article in "The Western Political Quarterly" Syria had two four-year periods of parliamentary rule, from 1945 to 1949 and from 1954 to 1958. (Amos Perlmutter, "From Obscurity to Rule: The Syrian Army and the Ba'th Party", The Western Political Quarterly, Vol. 22, No. 4 (Dec., 1969), pp. 827-845) Clearly it was the coup by Husni al-Za'im and the CIA which terminated the first period of parliamentary rule by overthrowing president Shukri al-Quwwatli. "Syria had to be “made to appear as the sponsor of plots, sabotage and violence directed against neighbouring governments,” the report says. “CIA and SIS should use their capabilities in both the psychological and action fields to augment tension.” That meant operations in Jordan, Iraq, and Lebanon, taking the form of “sabotage, national conspiracies and various strong-arm activities” to be blamed on Damascus. The plan called for funding of a “Free Syria Committee” [hmmm … soundsvaguely familiar], and the arming of “political factions with paramilitary or other actionist capabilities” within Syria. The CIA and MI6 would instigate internal uprisings, for instance by the Druze [a Shia Muslim sect] in the south, help to free political prisoners held in the Mezze prison, and stir up the Muslim Brotherhood in Damascus." In 1958 Syria and Egypt began a short lived political union called the United Arab Republic. The United Arab Republic ended with a coup carried out by disgruntled Syrian Army officers on September 28, 1961. It resulted in restoration of the independent Syrian Republic. As the unification process continued, many Syrians felt that the union with Egypt was really a take-over. While the leaders of the coup were from the army, they entrusted politicians from the traditional political parties of Syrian Republic era to form the secessionist government. The country adopted a new name and became the Syrian Arab Republic. In 1967 Israel began the Six-Day War with a preemptive strike on Egypt. 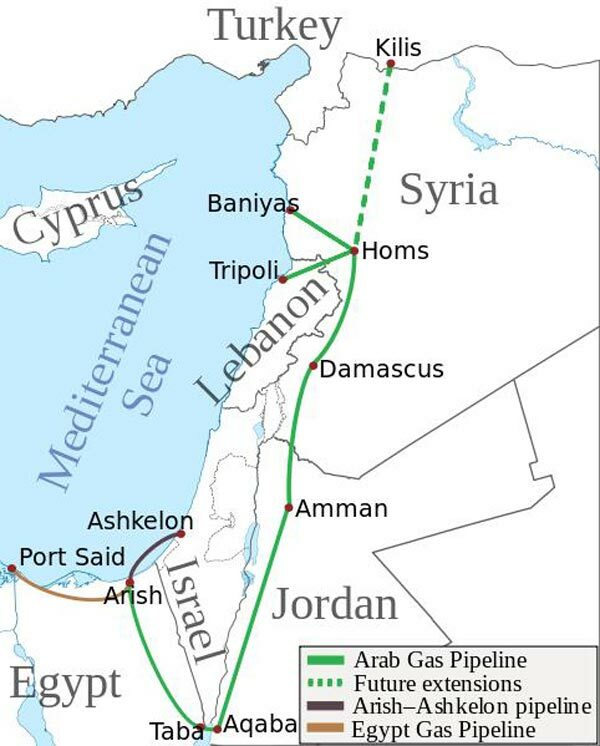 Syria joined the war and attacked Israel as well. 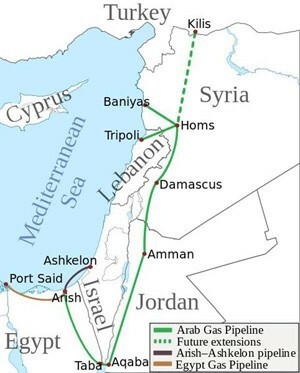 However, after defeating the Egyptian forces Israel captured two-thirds of the Golan Heights from Syria which it has retained until the present day. In 1973 Syria and Egypt initiated the Yom Kippur War against Israel. The Israel Defense Forces reversed the initial Syrian gains and pushed deeper into Syrian territory. In 1976, Syria entered Lebanon, beginning its thirty-year military occupation. Over the following 15 years of civil war, Syria worked to stop Israel from taking over in southern Lebanon. The plans for the 8th of March revolution were drawn up and implemented by the military committee of the Arab Socialist Ba'ath Party. The first act of the military committee was to establish the twenty-man National Council for the Revolutionary Command, however the military committee of the Ba'ath Party formed state policies, not the civilian Party leadership headed by Michel Aflaq. To begin with, the members of the military committee were bound together by their goal of building a prosperous nation. The leading members of the military committee throughout the planning process and in the immediate aftermath of taking power were Muhammad Umran, Salah Jadid and Hafez al-Assad. Salah Jadid was Syria's effective ruler from 1966 until 1970, but in 1970 a bloodless military overthrow Hafez al-Assad replaced him. He ruled until his death in 2000, when he was replaced by his son Bashar al-Assad. The first confrontation between the Ba'ath party and the Muslim Brotherhood in Syria occurred shortly after the 1963 Ba'athist coup. From the start, Islamist political groups, of which the Brotherhood was the most prominent, represented the strongest opposition to the new government. The Brotherhood was banned in 1964. From 1976 until 1982 there were a series of revolts and armed insurgency, organized mainly by the Muslim Brotherhood from 1976 until 1982. The insurgency culminated in the 1982 Hama Islamic uprising which was crushed by the Syrian government in an event usually described as the Hama massacre in which thousands of insurgents, soldiers and residents were killed. BUT WHO OR WHAT IS THE MUSLIM BROTHERHOOD? The group now known as the Muslim Brotherhood was founded in 1928 by the Egyptian Hassan al-Banna. The Brotherhood claims it wants to restore Islam to the alleged purity of its earliest days and rests on an ultra-orthodox view of Islam. From the beginning, however, the Brotherhood had "enormous power behind the scenes in monarchical Egypt, playing politics at the highest level, often in league with King Farouk against his political opponents, including the left, the communists, and the nationalist Wafd Party." (http://www.motherjones.com/politics/2011/02/what-is-the-muslim-brotherhood) The political positions of the Brotherhood meant that it often had the same views as the colonial British. For this reason, the Brotherhood became an intelligence agency, infiltrating left-wing and nationalist groups. Thus even its early years the Brotherhood was not just interested in an ultra-orthodox approach to Islam. In addition the Saudis have been backers of the Brotherhood for the same reasons that the United States and the Western powers needed them: to promote opposition to Arab nationalism and the growing influence of Shiite states. Robert Dreyfuss writes, “From its early days, the Brotherhood was financed generously by the Kingdom of Saudi Arabia, which appreciated its ultra-conservative politics and its virulent hatred of Arab communists.” (http://www.motherjones.com/politics/2011/02/what-is-the-muslim-brotherhood) The other message of the Brotherhood which helps promote the interests of the US Empire is the Salafist ideology that preaches conflict and inescapable war between the branches of Islam. This promotes the age-old conqueror's strategy of divide and rule as the different Arab states fight with each other, or become disfunctional through internal conflicts. "In 1957 Harold Macmillan [then Prime Minister of the United Kingdom] and President Dwight Eisenhower approved a CIA-MI6 plan to stage fake border incidents as an excuse for an invasion by Syria’s pro-western neighbours, and then to “eliminate” the most influential triumvirate in Damascus…. 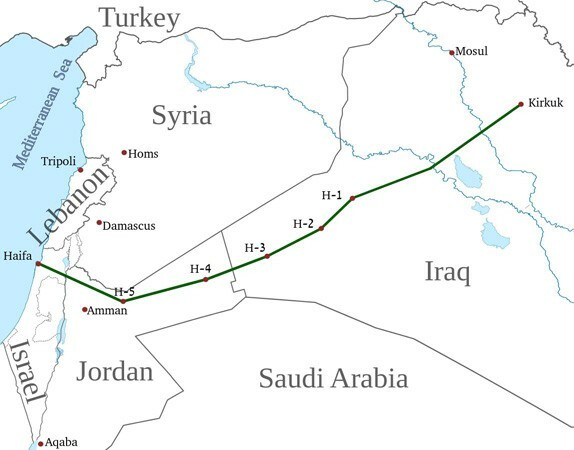 More importantly, Syria also had control of one of the main oil arteries of the Middle East, the pipeline which connected pro-western Iraq’s oilfields to Turkey." In the US, for example, which is held up as a model of a free, democratic society, there are multiple intelligence agencies which focus on the surveillance of domestic political opposition while there is no organization in the US even approaching the power and influence the Muslim Brotherhood has in Syria. For example, in 1979 there were a series of assassinations which led up to 16th of June slaughter of cadets at the Aleppo Artillery School. According to the official report 32 young men were killed, while unofficial sources say the toll was as high as 83. (https://en.wikipedia.org/wiki/Islamist_uprising_in_Syria) In the following year there was a nearly successful assassination attempt on the life of Hafez al-Assad. People in the US are told to fear "Al-Qaeda", but if this organization really exists, there is almost nothing other than 9/11 that they are alleged to have done in the US. No country in the West has any serious internal or external threat which could justify the methods used by the Syrian government against the Brotherhood. But if such a threat did arise, does anyone really believe they would be any different? The only reason there is the limited freedom and democracy found in the West is that there is no externally funded and organized opposition, and internal opposition is completely ineffective. "From annihilation at home 30 years ago when they challenged the iron-fisted rule of Hafez al-Assad, the Brotherhood has recovered to become the dominant force of the exile opposition in the 14-month-old revolt against his son Bashar. "Careful not to undermine the council's disparate supporters, the Brotherhood has played down its growing influence within the Syrian National Council (SNC), whose public face is the secular Paris-based professor Bourhan Ghalioun. "'We chose this face, accepted by the West and by the inside. We don't want the regime to take advantage if an Islamist becomes the Syrian National Council's head,' former Brotherhood leader Ali Sadreddine al-Bayanouni told supporters in a video. "'We nominated Ghalioun as a front for national action. We are not moving now as Muslim Brotherhood but as part of a front that includes all currents', said Bayanouni." Seymour Hirsh reported that late in 2006 the Lebanese leader Walid Jumblatt said to Vice-President Cheney that "the basic link between Iran and Lebanon is Syria—and to weaken Iran you need to open the door to effective Syrian opposition.” Jumblatt also "advised Cheney that, if the United States does try to move against Syria, members of the Syrian Muslim Brotherhood would be “the ones to talk to." The "Arab Spring" uprising in Syria which began in the early spring of 2011 and is always described as a civil war was actually the result of planning which began at least by 2006. "The U.S. State Department acknowledged Monday it has been funding opponents of Syrian President Bashar Assad, following the release of secret diplomatic cables obtained by WikiLeaks that document the funding. Other reports show that the CIA is still working closely with the Brotherhood in their efforts to destroy the Syrian government. "As the New York Times reported in June of 2012, 'CIA officers are operating secretly in Southern Turkey helping allies decide which Syrian opposition fighters across the border will receive arms…by way of a shadowy network of intermediaries including Syria’s Muslim Brotherhood.' The use of the Muslim Brotherhood to smuggle arms to the rebels in Syria should come as no surprise considering the fact that it is the Sunni monarchies of the region (Saudi Arabia and Qatar primarily) who have been the most vociferous voices championing regime change in Syria by any means necessary. The relationship between these monarchies and the Muslim Brotherhood is self-evident: they share similar religious convictions and are avowed enemies of all forms of Shiism. Moreover, they have been part and parcel of the system of US hegemony that has kept the entire region under its vice grip for decades. A 2006 State Department Cable from the U.S. Ambassador to Syria released by WikiLeaks discussed plans to overthrow the Syrian government. After the dissolution of the Ottoman Empire, the three provinces of Ottoman Iraq came under British occupation taking the form of a "mandate" authorized by the League of Nations at the San Remo conference. The people of Iraq did not accept British rule and rebelled. 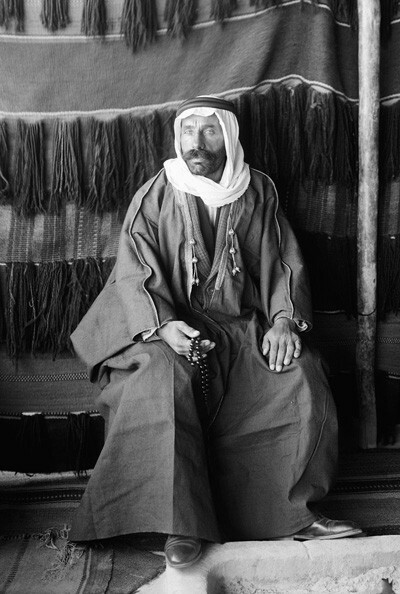 In order to establish a pro-British client regime, a dynasty of Hashemite kings from Saudi Arabia was established, beginning with Faisal I. 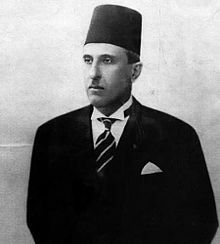 He had been briefly King of the Arab Kingdom of Syria or Greater Syria in 1920, but later became King of Iraq from 23 August 1921 to 1933.As a family originating in the Hejaz, the House of Hashim was foreign to Iraq. The British Government appointed them as Iraq's royal family after a rigged plebiscite, but they were never accepted by a majority of the population. Compagnie Française des Pétroles, a French oil company. In 1948, with the outbreak of the 1948 Arab–Israeli War, the official operation of the pipeline ended when the Iraqi Government refused to pump any more oil through it. 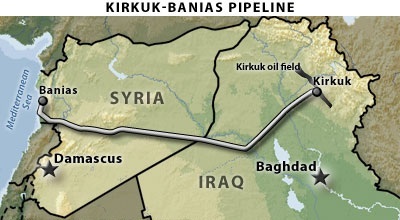 Since the pipeline ended in what had become Israeli territory, the Iraqi government, even though it was a creation of the British Empire, refused to allow their oil to be sent to what we seen as enemy territory. In 1958, the Iraqi monarchy was overthrown in a military coup. The new government was led by General Abdul Karim Qasim who withdrew Iraq from the Baghdad Pact, opened diplomatic relations with Soviet Union and adopted a non-aligned stance. In 1963, the United States backed the Ramadan Revolution against the government of Iraq headed by Qasim, who five years earlier had deposed the Western-allied Iraqi monarchy in what was known as the "July Revolution." The plot was carried out by a coalition of Nasserists, Iraqi nationalists, Ba'athists, members of the Arab Socialist Union, and anti-Communist members of the Iraqi armed services. It seems the US was well informed about this revolution, but did not take an overtly active role. They may have hoped the country would be more likely to play ball with them, but this is not how things worked out. The leader of the revolution against Qasim was Ahmed Hassan al-Bakr who became the fourth President of Iraq, serving in from 17 July 1968 until 16 July 1979. His Vice President was Saddam Hussein. In 1972 al-Bakr signed the Iraqi–Soviet Treaty of Friendship and Co-Operation. In that same year In June 1972, the Ba'athist government nationalised the Iraq Petroleum Company. Its operations were taken over by the Iraq National Oil Company. In 1979 al-Bakr attempted to demote Saddam Hussein to a position of relative obscurity, but Hussein responded with a counter-coup, forcing al-Bakr to resign. Hussein then became President until he was removed by the US in 2003 as a result of the second Iraq War. In April 1987 The Iraq National Oil Company was merged with the Oil Ministry and broken into a series of regional companies, the largest among them being North Oil Company, based in Kirkuk, and South Oil Company, based in Basra. Much of Iraq's oil infrastructure was destroyed during the US led war, but it is being rebuilt under very different rules. Iraq's new constitution gives regions full controlling their own natural resources, independent of the central government. A new law in 2007 authorizes production share agreements which guarantee a profit for foreign oil companies. Also no-bid contracts given to U.S oil companies even though many non-U.S companies would give the same service for shorter contracts and lower percentage of revenue. BUT WHY INVADE IRAQ IN 2003? It is easy to see that by nationalizing Iraq's oil industry and becoming friends with the USSR, the US would not be happy with the regime of Saddam Hussein. But in 2003 the USSR did not exist any more, and the oil industry had been nationalized 30 years earlier. So what happened? F. William Engdahl, author of" The Century of War: Anglo-American Oil Politics and the New World Order" and William R. Clark, author of "Petrodollar Warfare", have an interesting explanation. The problem was not that the oil was not under the control of the giant US/EU oil monopolies. Instead , Clark and Engdahl believe that the U.S.-led invasion was inspired predominantly by Iraq’s public defiance of the petrodollar system. What is the petrodollar system? It is a plan organized by the US in the early 1970's after they stopped exchanging the US dollar for gold. They took the dollar off the gold standard, which had been agreed to at the Bretton Woods Conference in 1944. Under the petrodollar system, all countries wishing to buy oil from anyone needed to pay for it in US dollars. So the US dollar became valuable to the rest of the world not because it could be exchanged for gold, but because the world needed to get their hands on US dollars to buy oil from Saudi Arabia or anyone else. Around 1000AD what is now known as Libya became an Arab cultural and linguistic region through the migration of thousands from Arab Bedouin tribes. 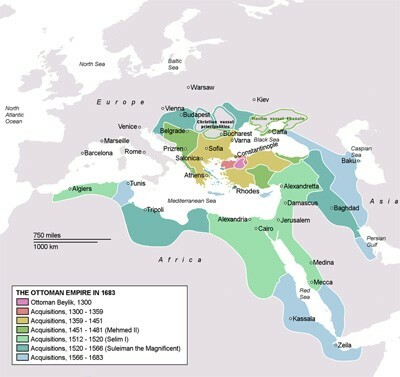 By 1500 the region became caught up in the power struggle between Spain and the Ottoman Empire, the two Great Powers of the Mediterranean at the time. Hapsburg Spain successfully invaded the area in 1510, but the Ottoman Empire took control of Libya in 1551. For several hundred years the region was more or less independent of the Ottoman Empire and in the 1800s piracy of the Barbary states became an important issue for other nations. By 1819 the various treaties of the Napoleonic Wars forced the Barbary states to give up piracy. After a somewhat anarchic time the Ottoman Empire was able to regain control of Libya in 1858. After the Italo-Turkish War (1911–1912) Italy replaced the Ottoman Empire as the rulers of Libya. At this time it was known as Italian North Africa. Italian rule ended during the Second World War. From 1943 to 1951, Libya was under Allied occupation. On 24 December 1951, Libya declared its independence as the United Kingdom of Libya, a constitutional and hereditary monarchy under King Idris. On 1 September 1969, a small group of military officers led by 27-year-old army officer Muammar Gaddafi staged a coup d'état against King Idris, launching the Al Fateh Revolution. In 1977 the country was declared to be the Great Socialist People's Libyan Arab Jamahiriy. From 1977 onward, per capita income in the country rose to more than US $11,000, while the Human Development Index became the highest in Africa. This was achieved without borrowing any foreign loans, keeping Libya debt-free. SO WHY DESTROY AN INDEPENDENT AFRICAN COUNTRY? Libya is Africa‘s largest oil producer, but this on its own has never been a problem for the West. But there was something Gaddafi was planning that could have been a weapon of mass destruction of the US/NATO financial system. As we saw in the discussion of Iraq, the financial system of the West no longer rests on a currency which can be exchanged for gold. The US dollar is what is know as a "fiat" currency, that is a currency which derives its value from government regulation or law. Other currencies are based on something which is otherwise valued, such as gold, silver, or as in the early days of Australia, rum. Because the US has organized things in such a way that all countries wishing to buy must pay for it in US dollars, the system is called the petrodollar system. This means the US dollar is valued around the world as a means to acquire oil. Since the world is not formally under the judicial sovereignty of the US, it must use political and military power to force other countries to accept the US dollar as the only legitimate way to buy or sell oil. According to Wile, Gaddafi’s plan would have strengthened the whole continent of Africa in the eyes of economists backing sound money — not to mention investors. But it would have been especially devastating for the U.S. economy, the American dollar, and particularly the elite in charge of the system. So, just like Saddam Hussein, the neo-colonial barbarity of the NATO backed "revolution" was a simple consequence of Gadaffi's decision to attempt to replace the fiat currency of the US dollar with a gold backed currency that would have made Africa a "golden opportunity" for investors outside the US dominated central banking Ponzi system.